Based on the available safety information for the HPV Vaccine ... This Ain't Good! Children’s Health Defense Chairman, Robert F. Kennedy, Jr., calls such discussions “reckless” based on the available safety information. Washington, DC – The CDC Advisory Committee for Immunization Practices (ACIP) will consider recommending the Human Papilloma Virus (HPV) vaccine to both women and men ages 27 to 45 in a meeting Feb. 27-28, 2019. This recommendation would possibly expose over 80 million adults to the Gardasil 9 vaccine. 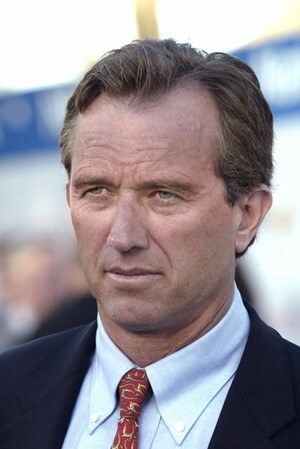 Robert F. Kennedy, Jr. sent a letter to Chairman Jose R. Romero and ACIP members on February 25th, on behalf of Children’s Health Defense (CHD), a non-profit organization devoted to children’s health. Kennedy has diligently followed the work of the committee to evaluate and recommend vaccines to the American public for over a decade and is well aware of the dangers of this vaccine given its track record with children. Kennedy states that CHD considers an expansion of the HPV recommendations reckless based on the safety information available and outlined numerous reasons to support his concerns. HPV Vaccines have been reported to cause death and serious adverse events in the children and young adults age group at a rate higher than for any other ACIP-recommended vaccine. Since 2006, when Gardasil came on the U.S. market, people have reported over 450 deaths and over 61,000 serious medical conditions from HPV vaccines to the government’s Vaccine Adverse Event Reporting System (VAERS). While these numbers reflecting reported vaccine injuries are startling, they likely only represent a fraction of injuries. A HHS-funded study established that the voluntary VAERS system captures less than 1% of vaccine injuries and deaths. In September, CHD released an ordered stipulation from Health and Human Services (HHS) where officials admitted that they were not in compliance with statutory requirements for regular childhood vaccine safety reviews and reports to Congress, as required in the “Mandate for Safer Childhood Vaccines” section of the 1986 law: “National Vaccine Injury Compensation Act.” In early February, in a similar ruling, FDA admitted that they had no records of clinical trials relied upon to approve any currently licensed influenza or Tdap vaccine used in pregnant women. Kennedy’s letter informs Romero that CHD will seek to hold ACIP members supporting the recommendation accountable for endangering this population with a product that has little proven efficacy but which likely puts them at higher risk of developing cancers and other grave health conditions.